See The Pyramid marks only the third occasion in Walt Weiskopf’s eleven-album relationship with Criss Cross (it began with the 1992 date Simplicity Criss 1075) on which the tenor saxophonist-composer presents his musical vision in the quartet format. 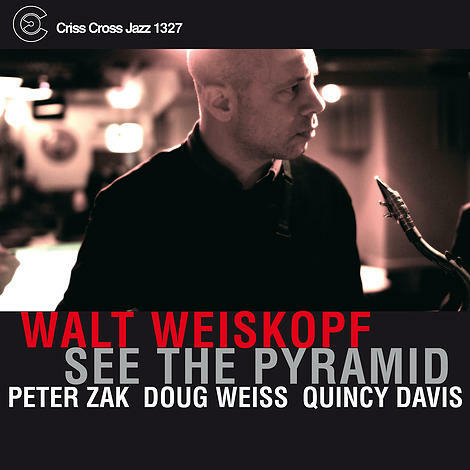 As he has done in his various nonet, octet, sextet, and quintet outtings, all executed at the highest level, Weiskopf conjures challenging twists and turns to frame his improvisations on five originals and five off-the-beaten-path standards. The results are consistently virtuosic and soulful. His bandmates in the quartet are: Peter Zak (piano), Doug Weiss (bass), and Quincy Davis (drums).